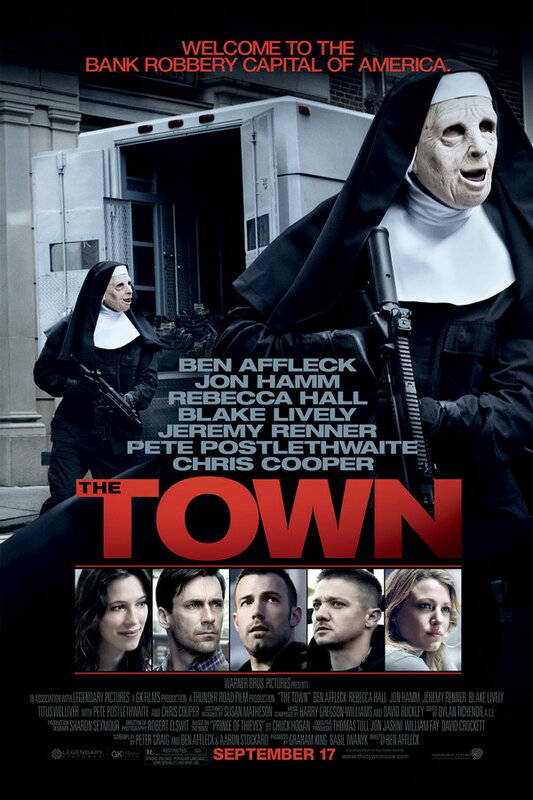 The Town font here refers to the font used in the poster of The Town, which is a 2010 American crime drama movie based on the novel Prince of Thieves by Chuck Hogan. The font used for the movie title in the poster is probably Akzidenz Grotesk Ext Bold. The font is a commercial one and you can view more details about it here. In addition to The Town, Akzidenz Grotesk typeface is also used in the following logos, movie posters or album covers etc., including: Undefeated, In Time, Promised Land, Nesting, Million Dollar Baby, Panic At The Disco, The Prestige, Memorial Day, Playing for Keeps, Dunkirk (film), Above & Beyond (Band), New Surrender, Suicide Squad, Argo, The Next Three Days.